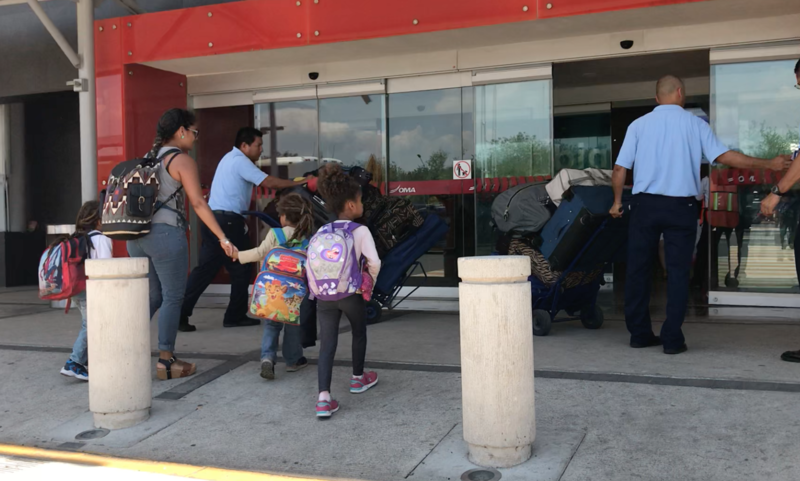 In October 2016, my family moved from the United States to Mexico and died for the first time. We were not hurt by the Mexican Cartel or some other negative element often associated with Mexico, but our move abroad was the death of ourselves to the lifestyle we lived for many years. Despite being connected to many family and friends via social media, we lost contact with the people we believed were integral to our lives. We also relinquished much of our material possessions to start over. There is something unique that happens when you make a dramatic move abroad as my family did twice in two years. With the first move, we downsized our 3200 Square foot home to ten suitcases, sold our cars, donated many of our personal belongs, gave away some other things, and left our jobs in three months. Two years later after making a positive transition to life in Mexico, but struggling to build a business, I decided to accept a job offer in the Caribbean Islands. We gave ourselves two weeks to pack our possessions to the ten suitcases we used to move to Mexico. Through getting rid of a lot of personal and professional belongings for two separate significant relocations, my family and I rediscovered the insignificance of stuff. So many of the things integral to conveniences in our life, we were unable to sell at a price comparable to their value. Family members, friends, strangers, and retailers were unwilling to compensate us for items we believed were valuable. Our difficulties with selling electronics, furniture, and other useful items reiterated the importance of refusing to allow material objects to define self-worth. As we received each insulting offer, my wife and I were reminded that no one cares about your stuff as much as you do in this present moment. While it is okay to enjoy luxuries and beautiful things, it’s important to note how temporary and how limited they are in offering long-term happiness. As the day approaches of our final days on earth, it is essential to get clear on what matters in this life. I value my spiritual and physical health, family, friends, time, and the opportunities that enable me to be my best. At the moment we pass away, we will not take any material possessions we have today. We must remain diligent in our abilities to achieve more mindful ways of living. Moving overseas and experiencing death to my material possession occurred during the transition to Mexico and now to Antigua. These major relocations taught me to create an identity derived from my embodied thoughts and actions aligned with success; I do not look to the clothes on my back or the amount of money my bank account to create my identity. Don’t let the things you own, dominate your belief system about your potential for positive contributions to our society. Adopting this way of thinking does not mean that you need to pursue a minimalist lifestyle. It does suggest that if we want to make progress toward reaching our potential, we should learn the skill of living with less to live full lives. If this article resonates with you, share it and read my book that explores how I developed the mindset to move abroad and leave it all behind.